PARIS — A wildly expensive supercar from Bugatti. A one-seater retro Ferrari with a giant engine. And, notwithstanding the buzz over electrics, a big, seven-seat luxury Mercedes-Benz SUV with a powerful internal combustion engine. Those are among the new models getting the most attention at this year's Paris Motor Show. The show, held every two years, opens to the public Thursday through Oct. 14 at the Paris Expo Porte de Versailles exhibition center. More than a million people attended in 2016. Germany's luxury carmakers are finally offering production-ready battery-powered vehicles, the leading edge of what they say will be dozens of new electrics and hybrids over the next five to ten years. 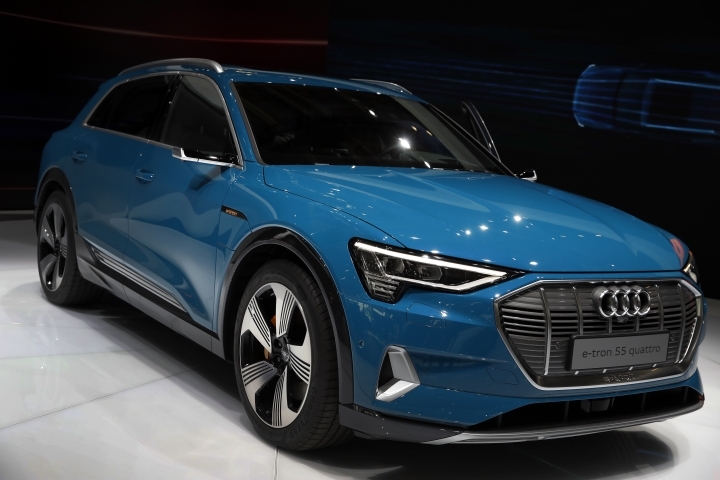 The e-tron falls into the familiar category of crossover SUV: big wheel wells and higher seating position but a car-like roofline and plenty of interior comforts. 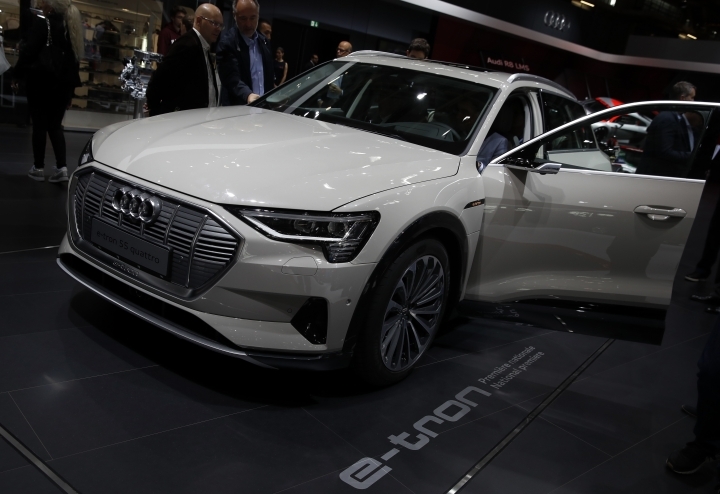 The e-tron offers faster charging at 150 kilowatts and longer range: more than 400 kilometers (249 miles) on a full charge under the European WLTP standard. Owners can use the highway network of fast-charging stations under construction by Ionity, the joint venture among Audi, Porsche, Daimler, BMW and Ford. 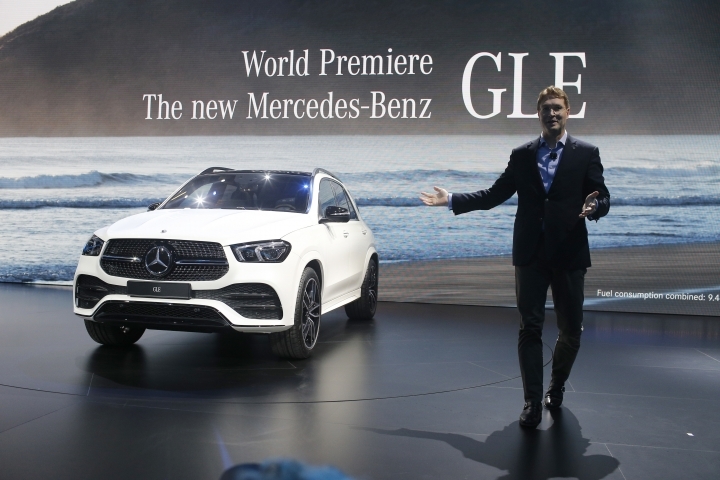 So can owners of Mercedes-Benz' EQC electric SUV, also on display at the Paris show. Audi says the interior will be nearly silent so well-heeled occupants can crank up the high-end Bang & Olufsen sound system. Among the options are virtual exterior mirrors that use cameras. Initial deliveries to European customers are planned for late this year; it comes to the U.S. in mid-2019. Prices in Germany start at 79,900 euros and in the U.S. at $74,800. 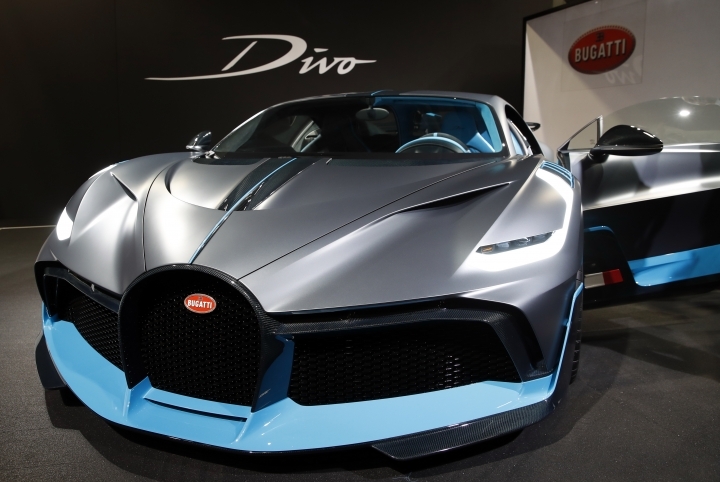 Lighter and more agile than its similarly over-the-top predecessor, the Chiron, the Divo carries on the bold Bugatti styling with the swooping side air intakes doubling back into the roofline, traditional Bugatti grille and large front and rear spoilers. 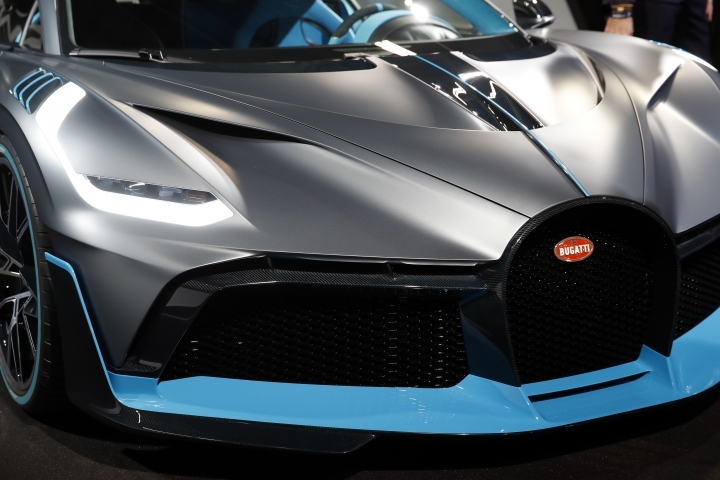 They provide the downforce to keep it on the road at speeds up to 380 kph (236 mph) generated by an enormous 1,500 horsepower, 8-liter, 16-cylinder engine. "Not only is it super expensive, it is kind of built to be driven in a situation where it is more likely to be damaged," said Antuan Goodwin, car review editor for the CNET technology website. "So you have to be a super exclusive buyer to look at something like that." 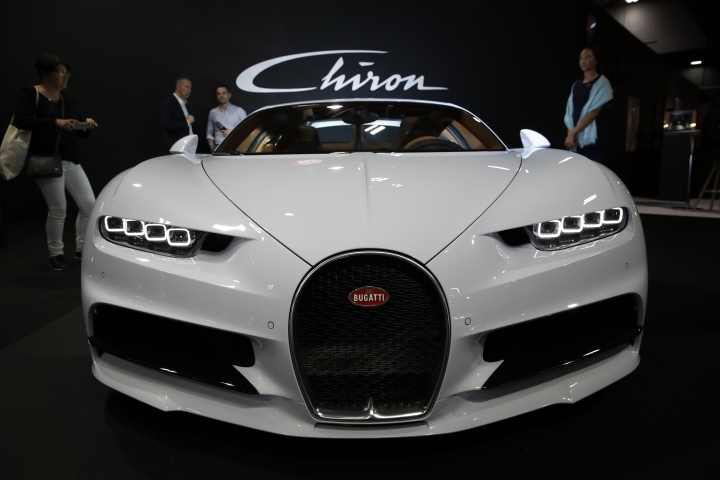 The company only offered the car to people who already own a Chiron. The production run of 40 vehicles is already sold out at 5 million euros ($5.6 million) apiece. The one- and two-seat open cockpit sports cars are the first in Ferrari's Icona series aimed at reviving long-discontinued models from the past. Only 499 existing customers can have the limited edition of the slender, boat-shaped cars, which recall racing models of the 1940s and 1950s. Ferrari says the 810 horsepower engine is its most powerful ever. It takes the vehicle to 100 kph (62 mph) in 2.9 seconds and 200 kph (124 mph) in 7.9 seconds. 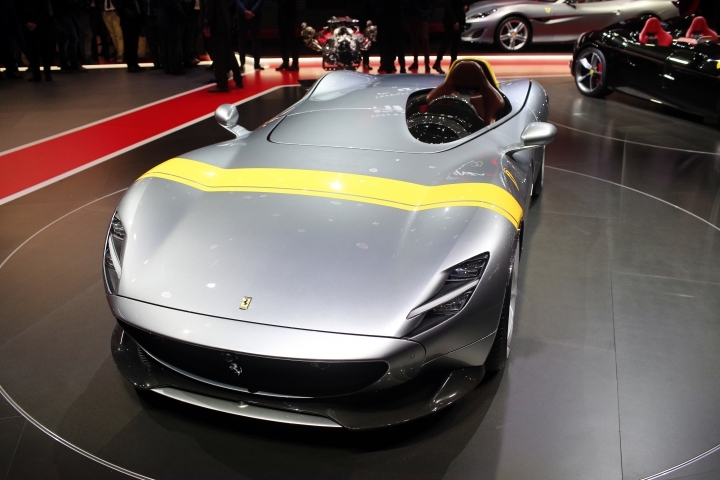 The series is intended to provide less than 5 percent of Ferrari sales, which are forecast for 9,000 units this year. 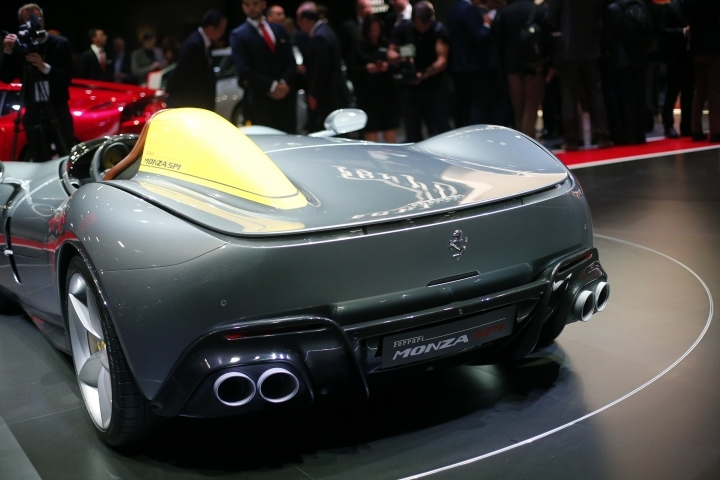 But the Italy price including VAT of 1.6 million euros ($1.85 million) suggests the SP1 and SP2 should contribute richly to the company's bottom line. The priced also includes helmets, custom driver's overalls and shoes. The venerable two-seat convertible sports car category has been losing ground to SUVs and higher-end cars among those with the spare cash to spend. 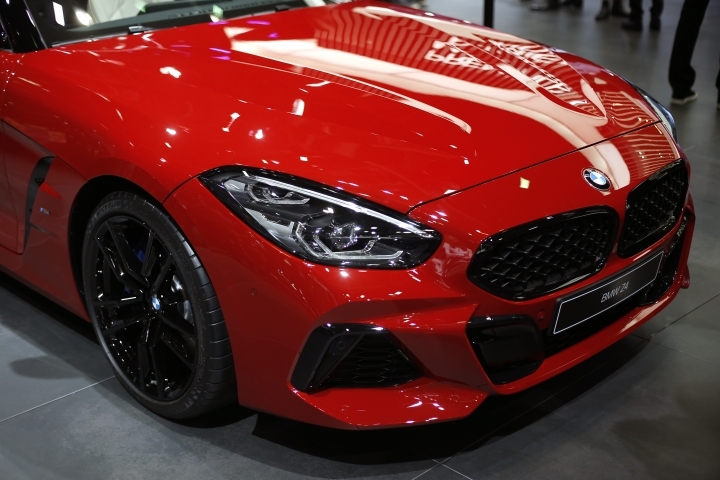 BMW aims to reinject some buzz in the premium midsize sports car segment, which shrank 14 percent to 23,000 units in the first seven months of the year in Europe. Like its predecessors, the new Z4 has a long hood, big BMW kidney-shaped grills, and flared metal on the hood and sides. The six-cylinder, 3.0 liter version with 340 horsepower goes 0-100 kph (0-62 mph) in 4.5 seconds. It has up-to-date driver assistance technology for more mundane moments such as traffic jams and parking, and the soft top goes up in 10 seconds. The four-cylinder base model starts at 40,950 euros ($47,268) in Europe, tax included; the First Edition performance model comes in an eye-catching paint job called "frozen orange metallic" and costs 74,900 euros. Mercedes' top-selling SUV gives an idea of what customers with money often want: a large diesel or gasoline engine with plenty of power to move up to seven passengers or pull a boat or off-road vehicle. The new version's wheelbase is 8 centimeters (3.1 inches) longer to make more interior room; a third row of seats to accommodate seven is optional. It has a 48-volt active suspension system to even out the ride as well as driver assistance features that can sense a traffic jam ahead and ease off the speed. The electrical system can also add power to the wheels when needed, making the car a so-called "mild hybrid" and saving fuel. The interior assistant can sense if you are leaning over to look for something in your bag on the passenger seat and will turn on the light to help you look. Prices will be announced later, ahead of market launch in 2019.